We’re excited to announce that we shall be competing in the M2TM LDN 2016 (Metal 2 The Masses London) competition! 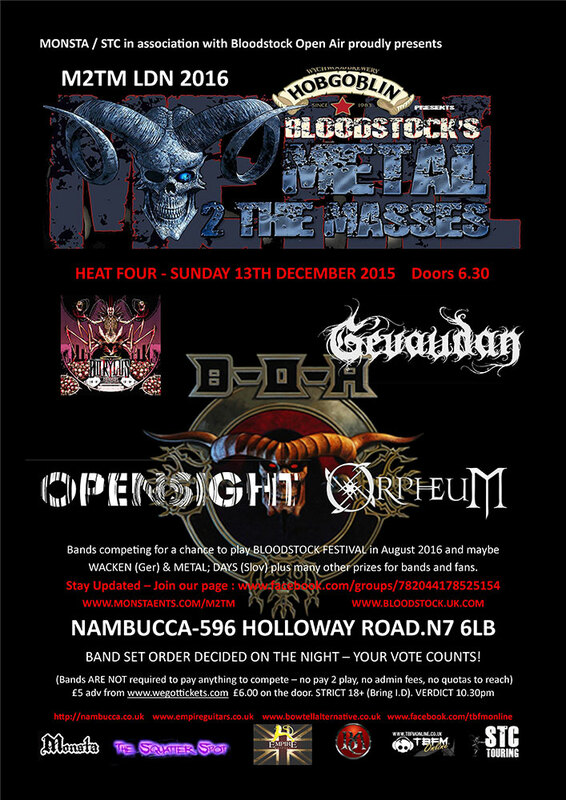 Our heat takes place on Sunday 13th December at Nambucca in London and would really appreciate your support on this night so we can move forward to the next event. Thank you for your continued support and we’ll see you then for our last London show of 2015! 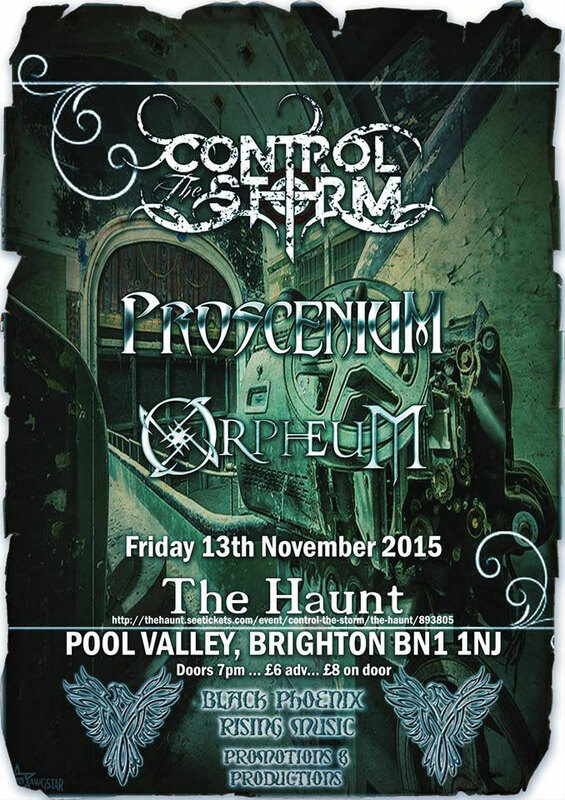 Just announced: We shall be heading to Brighton to play at The Haunt on Friday 13th November with the amazing Control the Storm and epic Proscenium! A night of Gothic, Symphonic, Operatic and epic metal all contained by this incredible venue.